Serving the construction, aggregate and mining industry for OVER 85 YEARS. We build from the ground up! Reuter Equipment has a team of skilled sales representatives, with a combined experience of over fifty years, ready to help you find the aggregate and mining equipment that will satisfy your particular operations. Reuter Fabrication is an on-site facility providing custom metal fabrication services. 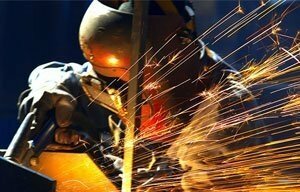 We have decades of experience in the metal fabrication industry, with qualified personnel to quote, bid and build your specific job. Reuter has a team of skilled sales representatives, with a combined experience of over fifty years, readily available to answer your questions, determine your specific needs, and find the aggregate & mining equipment that will satisfy your particular operations. 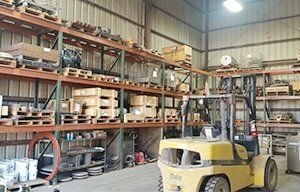 Parts personnel are available to meet all your parts requirements properly and promptly. 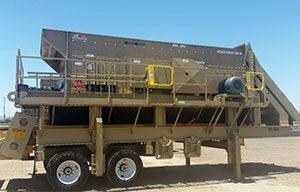 Reuter Equipment provides a large integrated line of quality replacement and wear parts for all of your crushing, screening, washing and conveying equipment. Reuter Fabrication is an on-site, state of the art facility providing custom metal fabrication services, i.e. silos, metal forming, shearing, chassis, tunnels. We have sixty years experience in the metal fabrication industry, with qualified personnel to quote, bid and build your specific job.